No TTM or show autos yet. If I ever go to a signing I'll bring my all-time favorite card - 1993 Donruss Elite. I do have a few on top cell packs just for fun, but only pick them up on the CHEAP. When the time comes? I expect exactly Jack and Schitt for my collection. There aren't many other Alomar collectors out there so I don't think my heirs will have much luck finding a buyer for my collection. So in my will I request my brother to put the whole damn thing up for consignment sale on ebay, and he can do what he wants with the proceeds. You didn't ask but I'll confess one more thing. I have started adding team cards - and their parallels - to my PC. Sad but true. How many of these cards are third party graded? For instance the $25+ valued cards. Are any of these TTM auto'd or at show auto'd? Do you have side collections of "On Top" cellos/racks. What percentage of what you paid for your cards do you expect when the time comes? Do these players have museums where the cards can be donated when the time comes? These are very impressive collections but future disposition would be a HUGE concern for me. Last edited by banjar; 02-22-2018 at 11:43 PM. Cool stuff guys, I love reading the updates to this thread! I hope to have the Brandon Webb collection join one day, butcher's just not much out there anymore. I'm probably 275 short or so of 1,500. 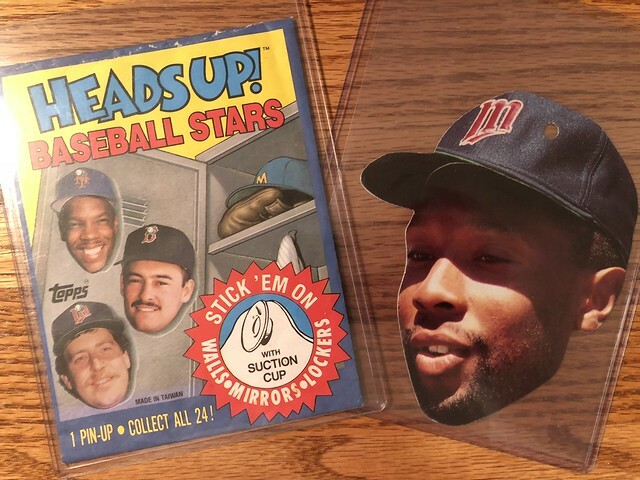 Pleased to hit the 2,000 mark in my Puckett collection with this 1989 Topps Heads Up! Test issue! 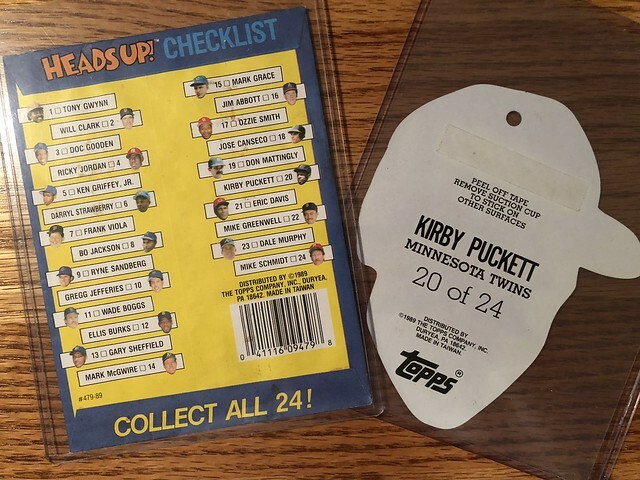 Collector of Kirby Puckett cards (2,000+ different, primary focus on Pre-1999 cards), Benj Sampson, Scott Stahoviak, Billy Beane, Al Newman, and Metrodome game/stadium used artifacts. So glad to see this thread going... cheers everyone! Looking at player collector's collections are my favorite. I've been waiting to be able to post in this thread, and just yesterday I finally made it to the 1500 unique Kirby Puckett cards milestone. These last pickups are the ones that put me at exactly 1501 (the Mirror Blue is actually a duplicate). I almost only chase earlier releases, so 95% of them are pre-2001. I have had some help from a few fellow collectors here, so thank you guys very much for that. On to the next milestone! Congrats on the milestone! I love this particular set and its parallels. Question is, do you peel or no? Just yesterday, I peeled all of the mirror golds that I've been collecting. The Blue was already peeled when I got it, but I have not peeled any of the others except the base and Artists Proof. I would have to practice a little on some more base cards to get the confidence to peel the Mirrors. They do look incredible without the film! Just found a plethora of Gwynns on Sportlots, which should put me over 6,000 finally. Seems like yesterday I was sitting at 3,141 and contemplating ending my collection at that magical number. I'll post my 6,000th when it arrives. Still a ways to go, but it's nice to find so many at once. Last edited by Gwynn545; 04-18-2018 at 02:00 PM.